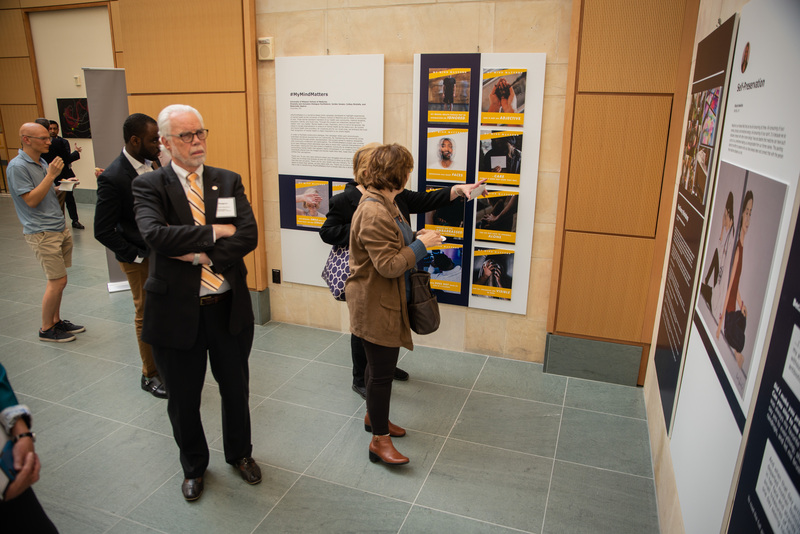 The National Academy of Medicine recently called on artists of all skills and abilities to explore what clinician burnout, clinician well-being, and clinician resilience looks, feels and sounds like to people across the country. 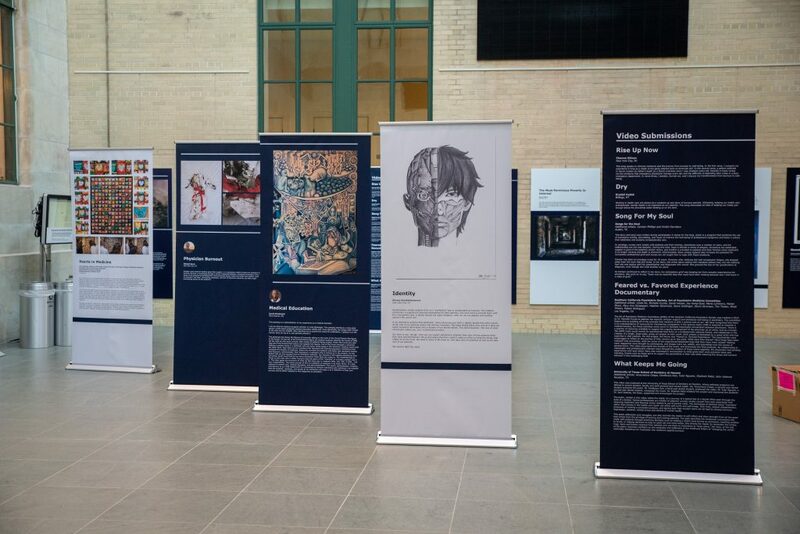 100 pieces of artwork were selected by a panel of reviewers to be displayed in a digital gallery. Clinician well-being is essential for safe, high-quality patient care. Submissions are now closed. 100 pieces of artwork were selected by a panel of reviewers to appear in a permanent digital gallery. Visual and nonvisual art, such as music and creative writing, are welcome. Accepted mediums include drawings, paintings, photographs, mixed media, murals, collage, sculpture, film, poetry, digital art, performance art, and more. Please provide clear photographs of all visual artwork, from multiple angles or showing close-up detail as appropriate. Creative writing should be submitted in PDF format, and performance art or music should be submitted in video format. Video submissions should be submitted via YouTube or Vimeo link. Please do not send us the original file. If you do not have a YouTube of Vimeo account, please email Kyra Cappelucci at KCappelucci@nas.edu. You may submit previously-existing artwork, such as a community art installation, as long as you are the original artist or have formal permission from the artist to submit their work for this project. All entries must be accompanied by a completed submission form which includes a brief written explanation of how your artwork relates to clinician burnout, clinician resilience, clinician well-being, or the journey from burnout to well-being. Your brief written explanation should be no longer than 300 words and should be written in complete sentences. By submitting your artwork for this project, you are granting non-exclusive lifetime permission for the NAM to display, publish, and share your artwork in digital and print formats. This includes the written explanation you submit with your work. Full credit will always be given to the artist, and copyright will remain with the artist. Artwork submitted for this project will not be reproduced for purchase or profit. Non-English-language submissions are encouraged. If you need help to understand these instructions, please contact Kyra at KCappelucci@nas.edu. We cannot accept artwork that includes logos/branding of companies or organizations. Please exclude all logos from your submission before submitting. Below are questions to help spark your creativity! These questions are provided as examples only; your submission does not necessarily need to answer one of these questions. If you had the opportunity, how would you express your gratitude to a clinician who provided excellent care to you or a loved one? Who has made a difference in your care? How did that clinician make you feel? What was your “turning point” in clinician well-being? When did you first start thinking about clinician burnout and well-being? Was there an experience before that turning point that made you think about well-being? How has your life changed since then? How do you feel on your worst days versus your best days? What factors affect this? How do you support your loved one(s) in taking steps toward achieving a state of well-being? How have your loved one’s experience(s) with burnout and well-being affected you? How does your organization/team/work unit create an atmosphere that supports well-being? Why does clinician well-being matter to you? Why should it matter to others? A panel of reviewers drawn from participants of the National Academy of Medicine’s Action Collaborative on Clinician Well-Being and Resilience will evaluate entries for creativity and responsiveness to the prompt. Selected submissions, including the artist’s name and written explanation, are now displayed in a digital gallery on the NAM website (NAM.edu). 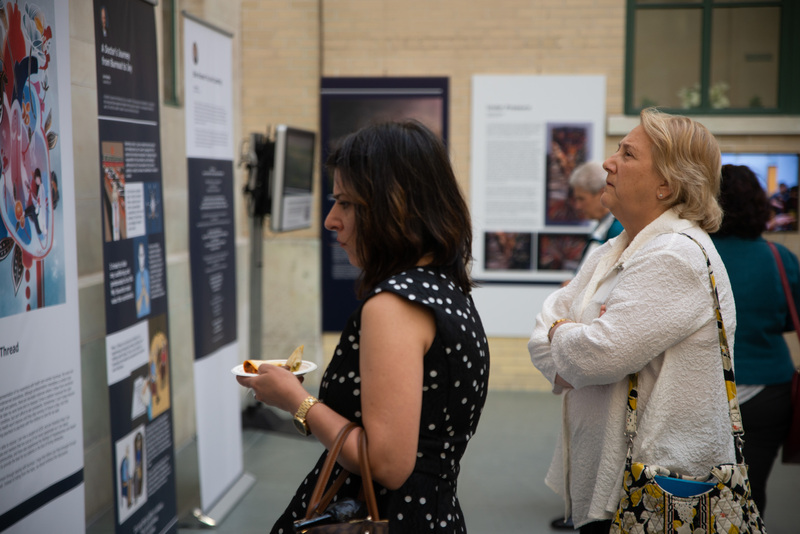 Additionally, selected entries were chosen for display at a live gallery show on May 2, 2018, with several artists invited to attend to present their work to policy makers and national health leaders during the meeting. Please contact Kyra Cappelucci at KCappelucci@nas.edu with any questions.